Recently we had a long weekend in the Lake District. 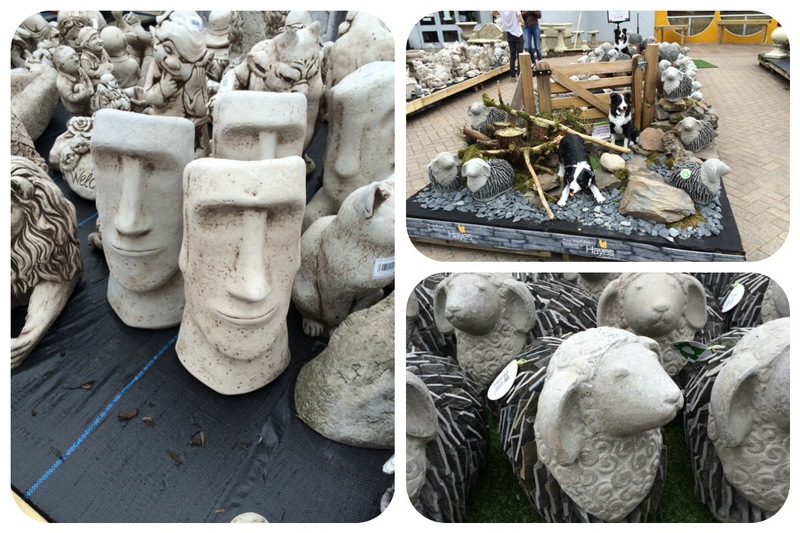 On Friday we decided to go to Ambleside and visited Hayes Garden Centre. It’s a lovely little place. And since we are still planning on getting our garden done it was the perfect place for some inspiration. 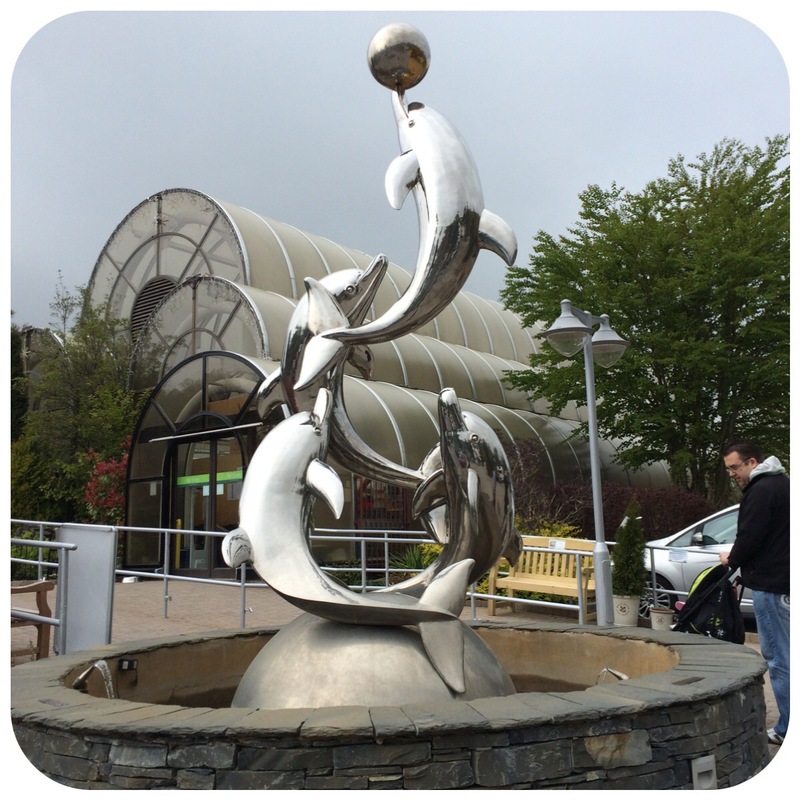 Just before going into the garden centre there’s this fabulous dolphin fountain outside. Isnt it fantastic! Little Miss was fascinated by it. The garden centre is a typical garden centre selling all sorts of house plants, outside plants, gifts, toys, pet stuff, clothing, garden furniture etc. We perused the toys section at length but ended up not buying Little Miss anything. She was very interested in the John Deere toy tractors though. We had a look around the outdoor plants for some inspiration for our garden. We found a weeping cherry blossom and some climbing roses which of course will have to be yellow ones. There was some awesome water displays and gazebos as well. In fact we quite fancy the corner bench gazebo which I think would look lovely underneath some of the cherry blossoms. We then ended up at the cafe and had sausage, mash and mushy peas followed by a scone with jam and clotted cream! Mmmm it was lush! Afterwards I bought a simple blue canvas print saying “Home” for £2.50 – it’s to put in the downstairs loo… I think I’m now done with the redecorating of that room. I was tempted by the glassworks but they were a bit more expensive for around £75 each! I also saw this mini garden furniture set for Little Miss… how cool is it? Oh and also loved the little digging dog! 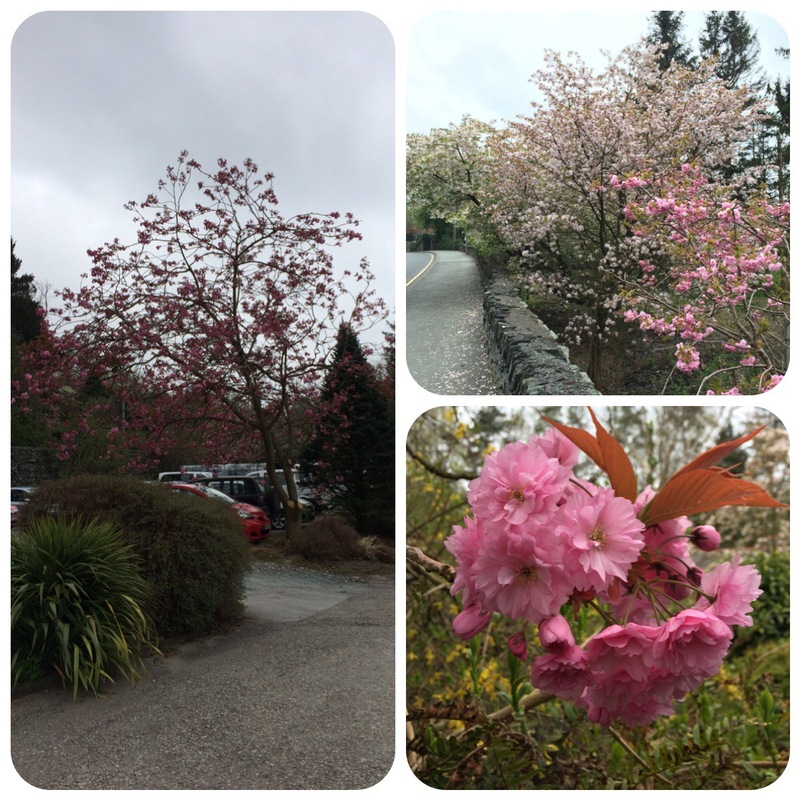 We then went for a quick walk around Ambleside where there was an abundance of cherry blossom trees. I think it might be a sign for me to plant some in our garden. I may have missed this year’s flowering but I can wait until next year! 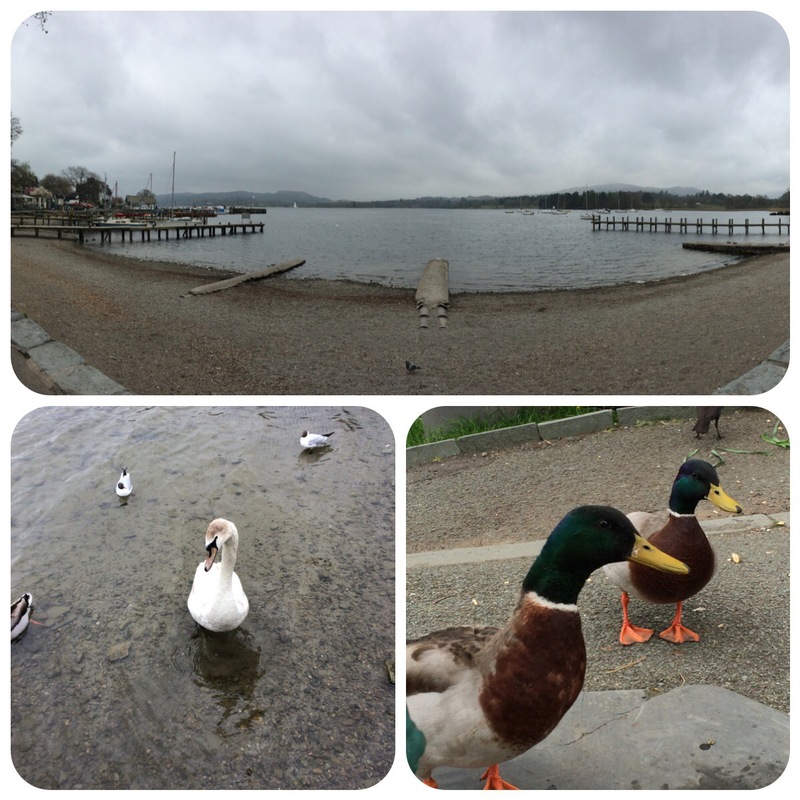 We walked down to the lake and saw some ducks and swans. The weather was overcast but still a very pretty view. So that was Day 1 of our Lake District weekend. The rest of the weekend is coming up soon! Day one sounds fun, that dolphin fountain is really interesting! Ps you can add this post to the travel tuesday link up! They actually had two of the dolphin fountains – one at each door! And thanks for letting me know about Travel Tuesday Link Up! how nice, and you’re welcome! It’s great isn’t it?! And thank you for the photography compliment! Not bad considering it was an iPhone 5s I was using.